A MATCHED PAIR OF articles I'm reading this time begin this blog entry, which seem to suit each other; Niv M. Sultan's The End? and Patrick Hicks' V-2 and Saturn: A Tale Of Two Rockets. 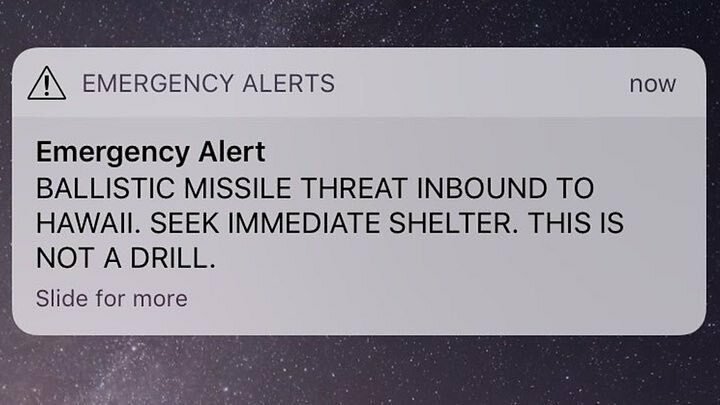 It was a year ago today that Hawaiians with mobile phones got an accidental warning that the rockets were on the way. An article last year about what it actually felt like to get that ping is the kind of text that should raise hairs on your neck. But then, consider the prospects for 2019 if you like. (Did you live through the 1980s? You're not going to like it). Using our imaginations to bring the end of the world into our own lives, in a manageable form small enough and simple enough to leave space for meaning is a very old practice, as old as religion. When it comes it will be meaningless, of course, as there won't be any of us left, and it's only the lonely vigil that we keep beforehand that allows it to be culturally significant. Herman Kahn may have solemnly lectured about our responsibility to actually think through the consequences and potential outcomes of nuclear war, but there's every indication that he enjoyed it, too. The end of the world is manifested less in the actual tools of destruction, and far more in the pole-posters taped up by millenarian Christians who read the Revelation by numbers, and in the odd compulsion lots of people (especially Americans) seem to have in preparatory hoarding of food and tools and arms. Me? I'm banking on it coming before my end of year exams.